On June 10, Belmont Resources Inc. announced to have started the phase-1 exploration program on its 100% owned Kibby Basin Project in Nevada’s Monte Cristo Valley, 65 km north of the Clayton Valley. Wright Geophysics completed a geophysical review and work proposal program. A few days later, Belmont announced to have engaged Magee Geophysical Services to conduct a detailed gravity survey to map the central basin so as to permit generation of a 3D model of the basin fill; providing the coverage to determine basin depth and delineate the structural setting. Last week on June 23, Magee completed the gravity survey, whereas Wright is currently interpreting the data and developing a 3D interpretation from the data. The results, expected any day now, will help outline the optimal testing areas for a direct push (Geoprobe) drilling and sampling program, which is expected to be announced shortly thereafter. With a current market capitalization of less than $3 million, the company may generate substantial shareholder value in case the upcoming brine drilling turns out positive, as Rockstone anticipates. Geology over the property and surrounding area is covered by Ferguson et. al (1953) in the Coaldale 15’ quadrangle geologic map. Figure  presents the portion of the geologic map covering the property and geophysical data sets. Three rock units are labelled in the area; Ji - Jurassic intrusions, Tol - older volcanics, and QTb - young basalt units. A large area of QTb is mapped within the basin near the southern lateral fault. The occurrence of a large area of QTb within the basin indicates additional QTb could well be encased within the basin fill and possibly play a role in ponding and/or controlling the distribution of lithium brines. An interpretation is presented over the gravity and airborne magnetics in Figures  and  respectively. Structures are depicted with dashed lines with line width indicating magnitude. Sense of movement is indicated with either arrows or up down labels. Interpreted outlines of the Ji and Tol are denoted with colored polygons. Finally, mapped outcrop of the QTb are depicted with brown hatched polygons. Examination of the gravity reveals a distinctive pattern to the basin. That is, the northern portion trends northwest-southeast with a relatively shallow amount of basin fill. The central portion of the basin rotates to north-south and deepens considerably; finally, the southern portion of the basin shallows and returns to a northwest-southeast orientation. Hunsaker (2016) notes the complex structure evolution of the area with supporting references to Hardyman et. al. (1990), Oldow (2003) and Oldow et. al. (2009). This complex basin geometry can be accounted for by a left lateral shear couple as depicted with the two west-northwest directed structures labeled with sense of displacement arrows. These structures bound the north and south edges of the central basin. Between the two lateral displacement structures is a zone of extension typified by at least four high angle normal faults oriented approximately north-northeast. High angle normal displacement along these structures is interpreted to have formed the main central basin. Such fault geometry is indicative of an overall trans tensional environment and termed a pull-apart basin. Figure  shows a three dimensional block diagram of such a basin’s formation. A large area of QTb is mapped within the basin near the southern lateral fault. The occurrence of a large area of QTb within the basin indicates additional QTb could well be encased with the basin fill and possibly play a role in ponding and/or controlling the distribution of lithium brines. The RTP magnetics are presented in Figure  overlain by the interpretation. Prominent magnetic highs correlate with the Ji and Tol rock units. As noted by Albers and Stewart (1972), large bodies of Jurassic intrusions occur in this portion of Nevada as eastern outliers to the main Sierra Nevada batholith. Depicted on the figures is an interpreted distribution of the Ji based upon the magnetics. A large extension to the east and south from the small outcrops is interpreted, which is down faulted into the basin by two of the north-south directed normal faults. 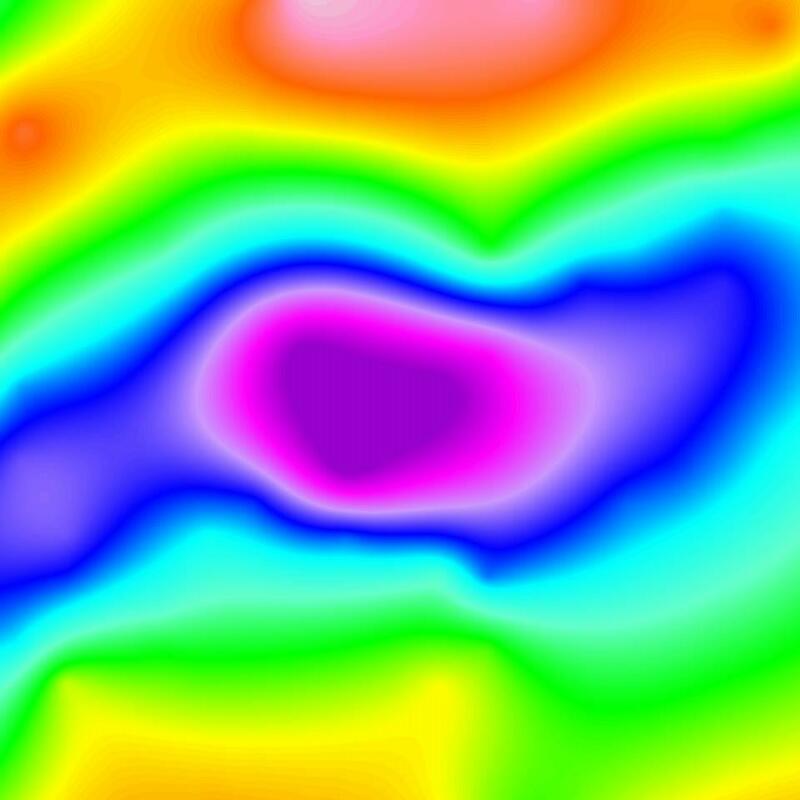 On the east side of the main basin, a large area of Tol is mapped which correlates relatively well with strong magnetic values. An interpreted distribution based on the magnetics is depicted a defined with a square hatched polygon. As with the Ji to the west, the Tol is also down faulted into the basin. Based upon this interpretation, it is reasonable to infer the Ji and Tol; plus lesser contributions from the Dunlap, Luning, and Excelsior formations form the bottom of the basin. Filling the basin would be the less dense Esmeralda formation (Te) and Quaternary material including gravels and playa deposits. As noted previously, bodies of QTb could well be found within the gravel fill. The interpretation indicates a genetic model for the central basin in which north-northeast directed normal faults accommodates left lateral extension by forming a pull-apart basin. These normal faults form the east and west boundaries to Kibby Basin. Furthermore, the genetic model suggests additional normal faults should be present forming a number of steps down into the basin on both the east and west sides. Clearly, a strong density contrast exists between basement rocks (i.e. Ji, Tol, etc.) and the basin fill (i.e. Te, Qal). A detailed gravity survey is recommended to map the central basin in sufficient detail so as to permit generation of a three dimensional model of the basin fill. Mr. Place, of Delta, B.C. is a registered Professional Geoscientist (P.Geo.) in the Province of B.C. (1992) and in this function has worked for government and private industry as a consultant for 24 years including engineering groups, environmental assessment specialists, and private mineral developers. His experience of providing support to government and private organizations includes property assessment, project planning, management, supervision, and administration for all types of engineering and development projects. His experience of providing management and directorship on a number of public companies will provide a significant contribution to the Company at this stage of exploration and development. Belmont Resources Inc. (TSX.V: BEA; Frankfurt: L3L1) is an emerging resources company engaged in the acquisition, exploration and development of mineral properties; in Canada and USA. The company has recently entered into an property acquisition agreement to acquire 16 unpatented association placer mining claims, representing 1,036 hectares (the “Kibby Basin Project”) in the Monte Cristo Valley, Esmeralda County, Nevada, approximately 65 km north of Clayton Valley. Belmont has previously acquired 4 claim blocks comprising 2,252 hectares located within the Abitibi Harricana-Turgeon volcanic greenstone belt of Northwestern, Quebec. This belt hosts several world class deposits that have produced both gold and base metals. Belmont holds 50% interest in 12,841 hectares of uranium properties located in the Uranium City region of North Saskatchewan. Belmont is focused on the development of these projects through joint ventures, whereby Belmont recognizes exploration activity and minimizes cash commitments.